I'm usually rushing at the last minute to create something for the Bah Humbug challenge but this time I'm rushing early because I need to go stay with my daughter who is poorly. I had to get it finished tonight as I so wanted to 'think outside the box' literally (smile). 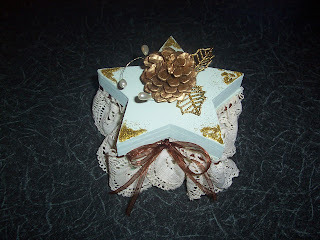 The challenge this week is to create something with lace and I chose to decorate a star shaped box. I first painted the box with two coats of emulsion in pistachio. I then threaded a double strand of thin brown organza ribbon through a length of vintage lace and made a gathered skirt for the box I then adhered the top edge of the skirt around the top edge of the box with glue. It was easier than I expected considering I had to attach the skirt in and out of the five pointed star and I secured the ribbon in a bow. I decorated the lid with a gold pine cone, leaves and dropped pearls and then added some gold glitter to each point of the star. I enjoyed making my Christmas box with lace. 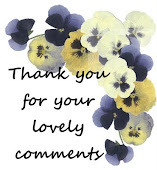 Thank you Humbug Hall for the challenge. 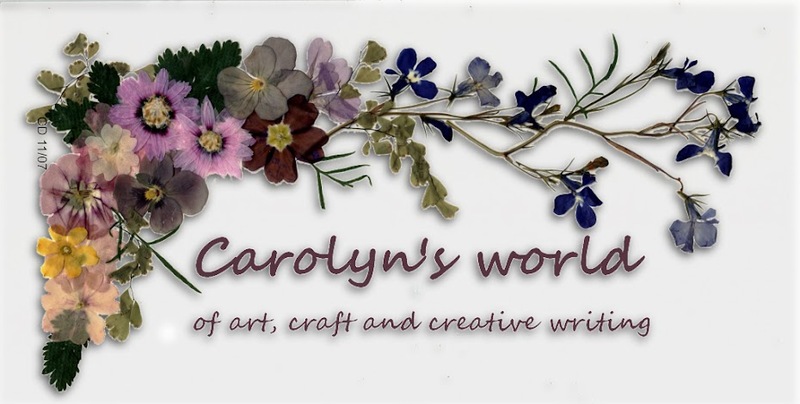 Oh what a beautiful trinket box Carolyn. The lace around the sides works wonderfully well. Thank you for sharing with us at Bah! Humbug!